Granadilla council plans to ban nudism on one of Tenerife’s best-known nudist spots are being challenged by Spain’s biggest Nudism Association. 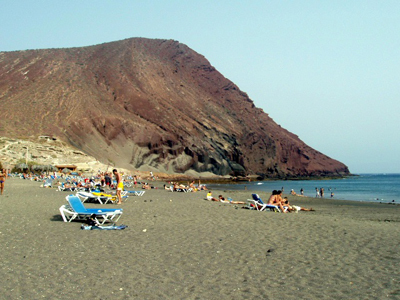 There have been rumours for weeks that the corporation is about to ban naked swimming and sunbathing on the beach at La Tejita (El Médano) due to complaints from families. However, the proposal has hit trouble after the Association queried the right of local councils to ban something for which no legal prohibition exists at national level. Ismael Rodríguez, the Association’s head, said yesterday that councils ‘have no right to decide what people should or should not wear on beaches’ and it would file a legal challenge to any by-law passed.